Cooking for a bigger group is always a challenge, especially when you have a diverse group of friends. You may find yourself cooking for vegans and non-vegans, Coeliacs, and people suffering from lactose-intolerance. Nowadays, most people know to advise their party hosts of their preferences, and this often leads to a bit of a debacle, as hosts find themselves clamouring to accommodate all parties. Kebabs are possibly the easiest food to put together. 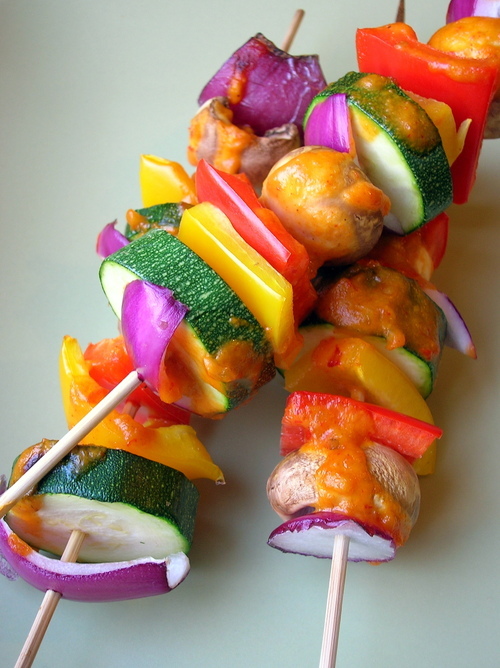 Simply cut up some of your favourite fruits and vegetables — onions, bell peppers, pineapples, cucumbers and mushrooms are a great start — and arrange them on a skewer. Brush them with your favourite marinade, dehydrate, and serve! Replace standard potato chips and fries with these crunchy healthy beauties. Just peel and slice up an eggplant into 1-inch fries, coat with about a tablespoon of agave nectar or honey, and let soak for a few hours. Dehydrate until crispy and you’ll have a great finger food that serves as a dessert too. Instead of traditional crumpets and sandwiches, use a healthy, vegan alternative! Slice up some beets and cucumbers, buzz pines nuts and scallions in a blender to make a spread, and arrange them in layers to make beautiful sandwiches. Add whatever flavours you’d like into your spread, season with buy ventolin australia salt and pepper, skewer with toothpicks, and enjoy! Sue Etheridge, lead product developer of the Marks and Spencer Food to Order range, has been preparing high-quality food products for over 20 years. In her experience, she’s found that it’s generally best to prepare 6-8 food items per guest. However, because vegetarian options are generally lighter, you may want to prepare a bit of extra as well. She also recommends preparing at least one red, one white, and one sparkling wine option for your guests. What are your favourite healthy party foods?